This a detail of the ironwork at the entrance of Palau del Baro de Quadras in Barcelona. This exquisite modernist wrought iron door was made by artist Manuel Ballarin i Lancuentra. From his foundry Casa Ballarin, the most important in the city by the end of the XIX century came out most of the iron art works present in the buildings by architect Puig i Cadafalch like Casa Amatller, Casa Macaya, Casa Serra among others. 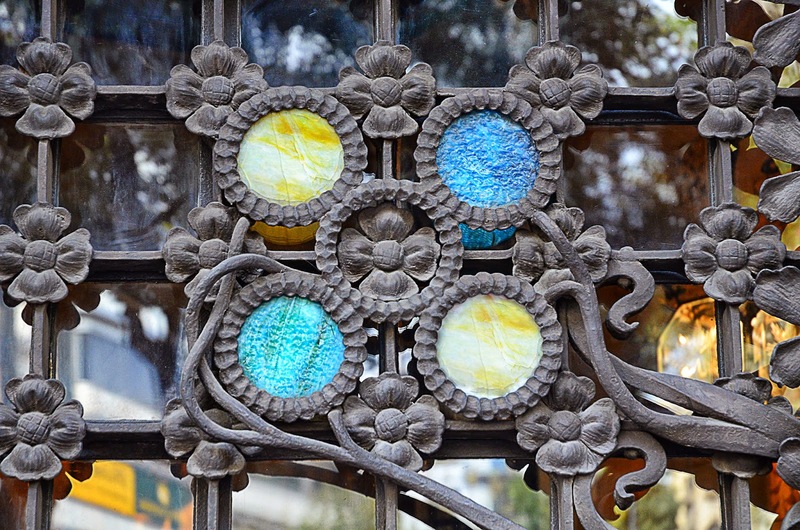 Check this lamp post at Passeig de Gracia by Ballarin or this remarkable gates detail at Casa Marti.